Film screening and forum with guest Palestinian co-director, Emad Burnat, of 5 Broken Cameras (documenting the years of peaceful protest in his village of Bilin in the Occupied West Bank in Palestine). Nakba: Community forum and film screening, Youm Ilak Youm Aleik – Palestinian Refugees from Jerusalem 1948: Heritage, Eviction & Hopes with guest speaker, Ms Nahed Odeh. Palestinians Under Occupation: Community forum and film screening of Samoud – the Struggle for Al Aarqib (joint event with FILEF), with guest speakers Mr. Hilmi Dabbagh and Ms Cathy Peters. Community event with Professor John Dugard, in conversation with Professor Ben Saul, (Professor of International Law, University of Sydney), introduced by Associate Professor Jake Lynch (Department of Peace and Conflict Studies, University of Sydney). Promoted Protest Netanyahu actions on Benjamin Netanyahu’s visit to Australia. Jointly funded an Australian public opinion poll – Morgan Poll, on attitudes to Palestine and Israel (https://apan.org.au/apan-activities/opinion_poll/). Speakers included a Palestinian survivor of the Nakba from the Australian community, Dr Abu Arab along with Professor John MacDonald on his work in Palestine. See You Tube videos of the presentations here. CJPP worked on the organising committee to present a two-day conference at the University of Sydney. https://www.bdssydney.org/. Gideon Levy, outspoken Israeli journalist, Ha’aretz gave a presentation at the University of Sydney as part of the Sydney Ideas program. 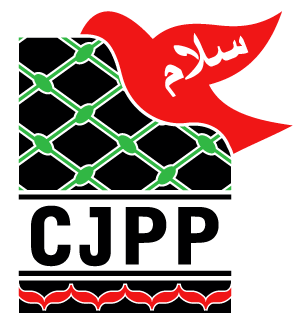 This event was co-presented with the Department of Arabic Language and Cultures at the University of Sydney and the Coalition for Justice and Peace in Palestine (CJPP). Speakers included Professor Dirk Moses and journalist and writer, Antony Lowenstein. Gideon Levy was the 2017 Edward Said Memorial lecturer.